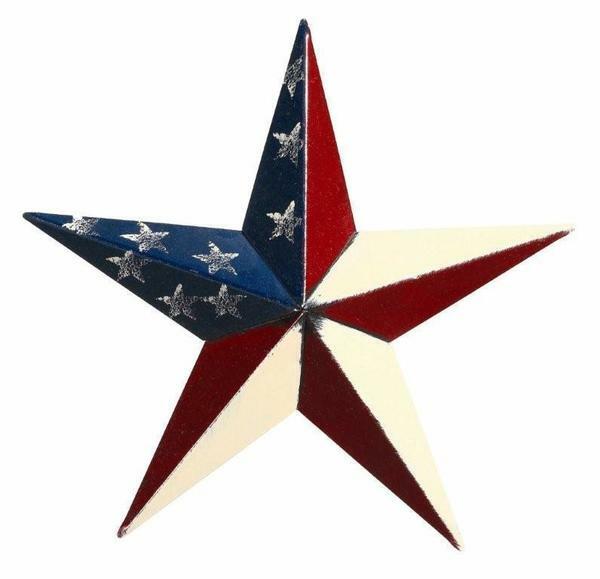 Proudly show your patriotism with this red, white and blue painted barn star. This barn star will perfectly accent the outside or inside of your home or business. Shop DutchCrafters for authentic Amish made barn stars in a variety of sizes and colors such as this patriotic barn star. Stop by our store in Sarasota, Florida to see our barn stars in person or call us with questions at 1-866-272-6773. We can't wait to meet you.